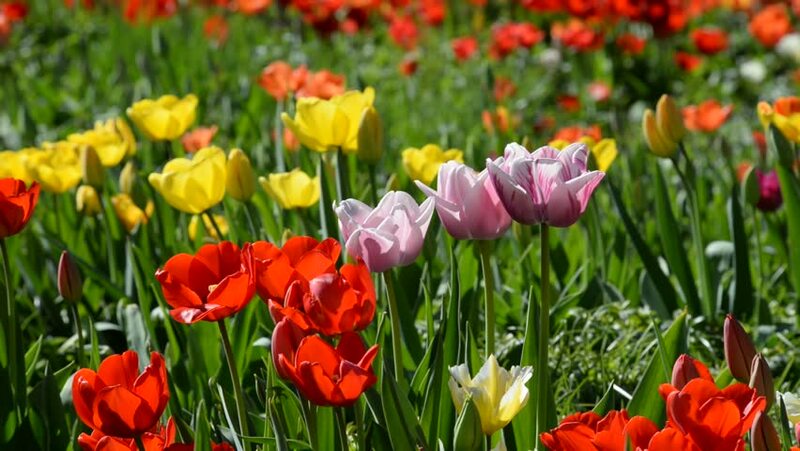 4k00:24Colorful flower garden tulip and pansy 4K. Flower garden in park around LDS Mormon Temple in Washington DC. Beautiful nature welcomes visitors. Bright and colorful. 4K UHD HD video. 4k00:15morning sunlight shining down on colorful purple yellow and white tulips in a park outside during spring. hd00:09Beautiful flower bed with red yellow tulips. hd00:22Red and yellow Tulips in Chicago Botanic Garden. The film was shot in late March in sunny day.